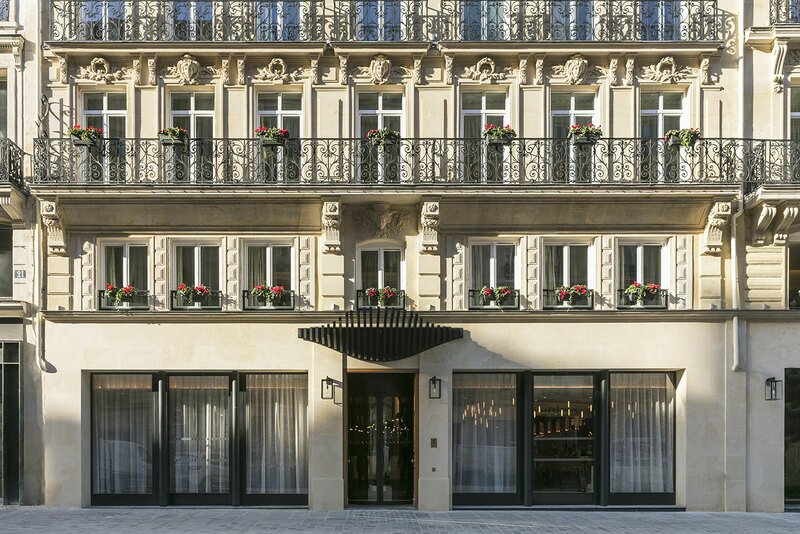 A Parisian house where you can savor French elegance: this is the concept developed by Céline Falco for this new five-star hotel located in the heart of Paris, rue du Pont Neuf. This prestigious building, once home of the Céline couture house, was completely redesigned by the COS workshop and interior designer Alexandre Danan, EDO Consulting. Everywhere, curved, intimate and sensual lines plunge the place in a muffled atmosphere with voluptuous luxury. The wood and stone, the soft colors of the textiles, the velvet of the lounge, the leathers of the corridor, the organic tablecloth of the entrance, conjoin fluidity and movement and sign the pace. A hotel opened onto the city and connected to the world, composed of 60 rooms all equipped with an intuitive technology. Unique, the 1923 room hoisted at the top of the building offers a 180 ° view of the capital. Framed with XXL bay windows, it gives the impression of hovering over the roofs of Paris: magical! To extend this well-being, head to the -1 floor, where a Céline by Cinq Mondes spa features a beautiful indoor pool, hammam, jacuzzi and fitness room. In this soothing space, the menu reveals a palette of spa cares and inspired massages dedicated to relaxation and rejuvenation. 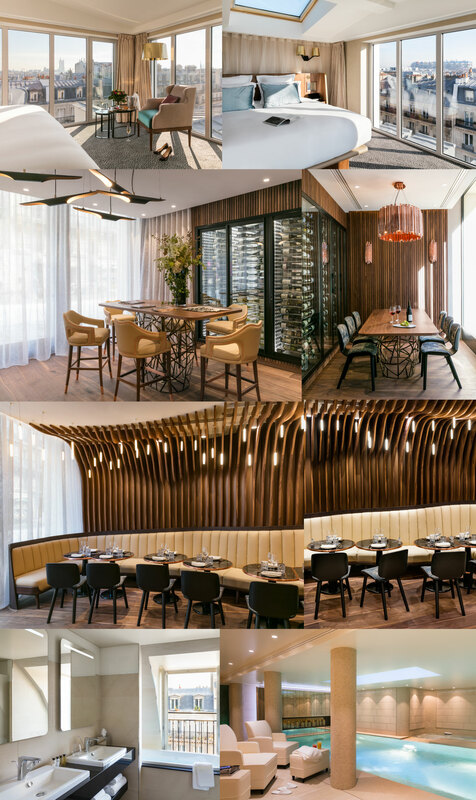 Finally, the Odette restaurant, created by Caroline and Sophie Rostang, is a culinary highlight of the city, where residents and visitors can enjoy from breakfast to dinner, a gourmet and aromatic cuisine. Piloted by the chef Yannick Lahopgnou (ex Meurice), this restaurant which bears the name of the grandmother of Céline Falco, conjugates with brio haute cuisine and traditional bistro cuisine A new address of great taste in the process of becoming the new place to be for Parisians, with in anticipation for the beautiful days, the opening of a terrace.